Sometimes, there are simply no words that will suffice. We try as best we can to describe the things that we see and the people who we meet, only to be let down when once-powerful ideas have been diluted by time and hyperbole, and left crumbled into clichés. But then one meets a person like Yolanda Kenney, and suddenly words like hope, passion, courage, and resilience suddenly take on new meaning. 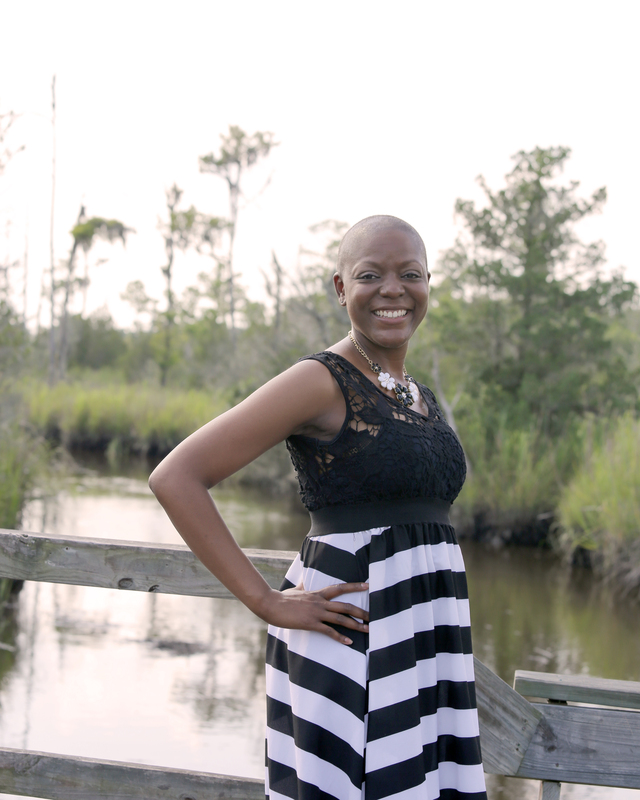 Yolanda is currently battling stage four breast cancer, and though some of her days are full of painful challenges, she has chosen to fight with a sense of grace and optimism that is truly breath-taking. Yolanda immediately scheduled an appointment to follow up with her doctor, however due to the fact that Yolanda was much younger than the typical at-risk patient, the doctor was initially dismissive of the possibility that it would be cancer. “I fought to get it checked and the doctor agreed on a biopsy, while telling me that it was unnecessary. The biopsy came back positive. I was first diagnosed with stage Ill breast cancer in March 2008.” Yolanda’s story highlights two very important things to remember. While there are certainly factors that increase the likelihood of a positive diagnosis, breast cancer, can strike at any age without warning. Secondly, a person’s instincts are often their most useful ally when facing health issues. It is important to always follow what your senses tell you, and never dismiss your instincts if something doesn’t feel right. Because Yolanda became her own advocate and fought to have the tests that she felt that she needed, her cancer was detected far earlier than it might have otherwise been. Courage is a word that is often tossed around so effortlessly in our everyday lives that it sometimes loses its meaning. Courage is not found on ball fields or in boardrooms, it radiates from the heart of a person who refuses to give in, no matter what the costs. A hero is a person who endures whatever comes their way, only to inspire you to ask things of yourself that you have never before dared. When destiny hands me the greatest challenge of my life, will I have the strength that it takes to persevere? Yolanda is a hero in every sense of the word, and she answers this question every day with a resounding passion. She is determined to not only beat this disease but to do so in a way that inspires and uplifts others. She has learned from her past experiences and continues this fight armed with a knowledge that no illness can ever take away. Cancer picked the wrong lady to mess with this time.